Los Angeles, CA – August 6, 2013 – Today at the Television Critics Association Press Tour, it was announced that Gwen Ifill and Judy Woodruff will be co-anchors and managing editors for the PBS NEWSHOUR. Ifill and Woodruff will anchor the broadcast together Monday through Thursday each week. On Fridays, Woodruff will anchor solo as Ifill hosts WASHINGTON WEEK that evening. This will mark the first time a nightly U.S. network newscast has had a female co-anchor team. It was also announced that Hari Sreenivasan will serve as Senior Correspondent for the PBS NEWSHOUR with Gwen Ifill and Judy Woodruff, reporting several times a week from WNET’s Tisch Studios in New York, along with his duties anchoring PBS NEWSHOUR WEEKEND Saturdays and Sundays beginning September 7. 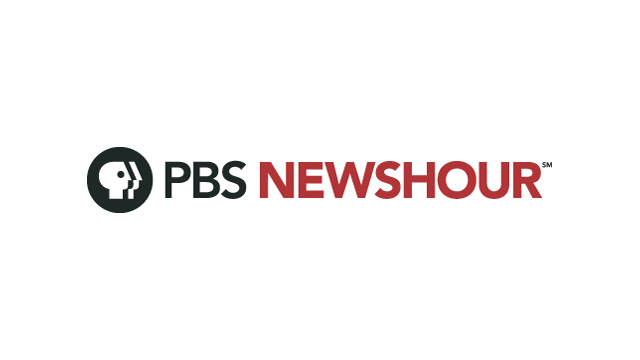 In addition, three PBS NEWSHOUR correspondents have been given specific areas of content responsibility and will be contributing on a daily basis to both the broadcast and online operation. Jeffrey Brown was named Chief Correspondent for Arts, Culture, and Society. Ray Suarez was named Chief National Correspondent. And Margaret Warner was named Chief Foreign Correspondent. This announcement follows the recent announcement of PBS NEWSHOUR WEEKEND, which will feature a summary of the day’s national and international news, using renowned experts to offer analysis. Each weekend broadcast will contain original, in-depth field reporting on topics including education, healthcare, the economy, energy, science and technology, religion, finance and the arts. PBS NEWSHOUR correspondent Hari Sreenivasan will anchor PBS NEWSHOUR WEEKEND every Saturday and Sunday from the Tisch WNET Studios at Lincoln Center. These changes will go into effect in September. About The PBS NEWSHOUR with Gwen Ifill and Judy Woodruff? PBS NewsHour is seen by over five million weekly viewers and is also available online, via public radio in select markets and via podcast. The program is produced in association with WETA Washington, D.C., and WNET in New York. Major funding for the PBS NewsHour is provided by BAE Systems and BNSF Railway with additional support from the Corporation for Public Broadcasting and public television viewers. PBS, with its over 350 member stations, offers all Americans the opportunity to explore new ideas and new worlds through television and online content. Each month, PBS reaches nearly 120 million people through television and nearly 29 million people online, inviting them to experience the worlds of science, history, nature and public affairs; to hear diverse viewpoints; and to take front row seats to world-class drama and performances. PBS’ broad array of programs has been consistently honored by the industry’s most coveted award competitions. Teachers of children from pre-K through 12th grade turn to PBS for digital content and services that help bring classroom lessons to life. PBS’ premier children’s TV programming and its website, pbskids.org, are parents’ and teachers’ most trusted partners in inspiring and nurturing curiosity and love of learning in children. More information about PBS is available at www.pbs.org, one of the leading dot-org websites on the Internet, or by following PBS on Twitter, Facebook or through our apps for mobile devices. Specific program information and updates for press are available at pbs.org/pressroom or by following PBS Pressroom on Twitter.